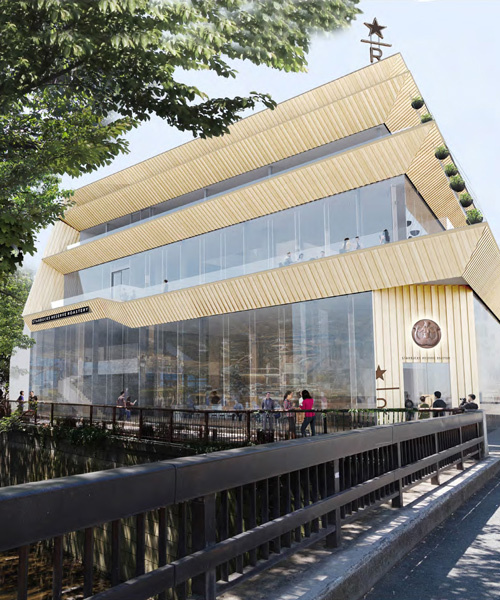 starbucks has announced that it will open a major new venue in tokyo’s nakameguro district, designed by japanese architect kengo kuma. 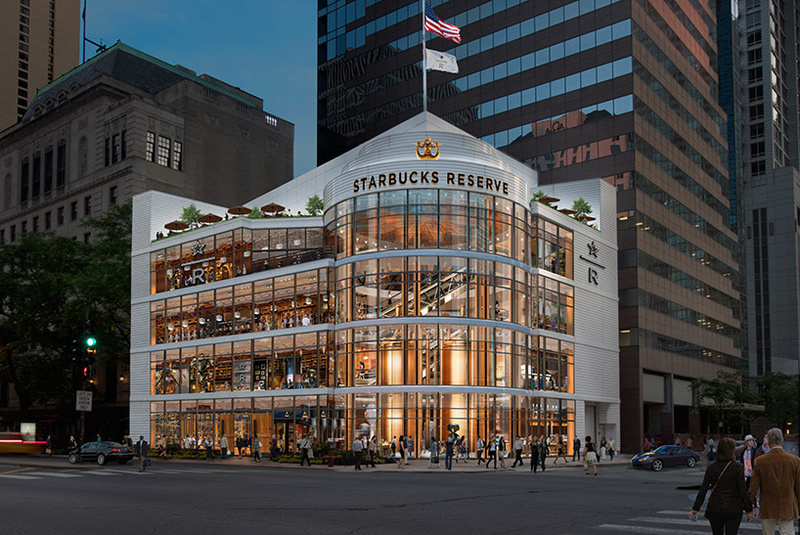 on february 28, 2019, the city will welcome the starbucks reserve roastery — the fifth such venue following others in seattle, new york, shanghai, and milan, with plans for a chicago outpost also in the works. 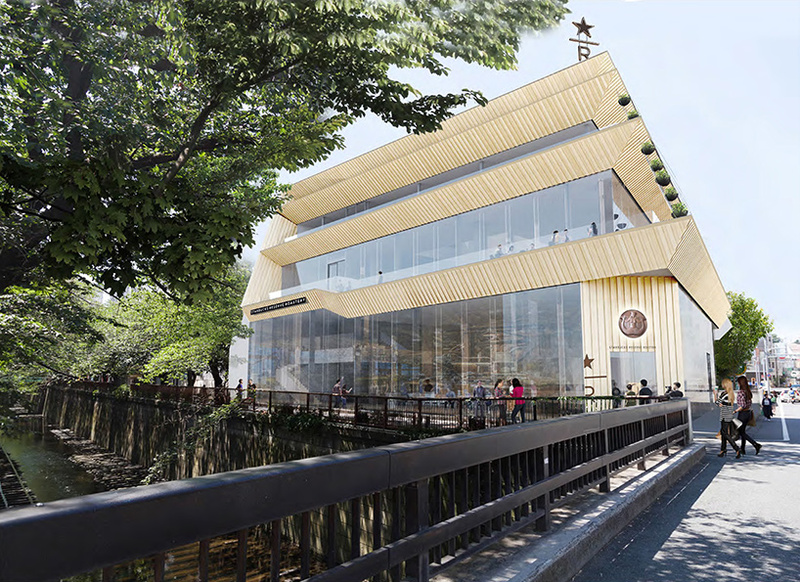 however, the tokyo roastery will be the first of these venues to be designed and built from-the-ground-up. 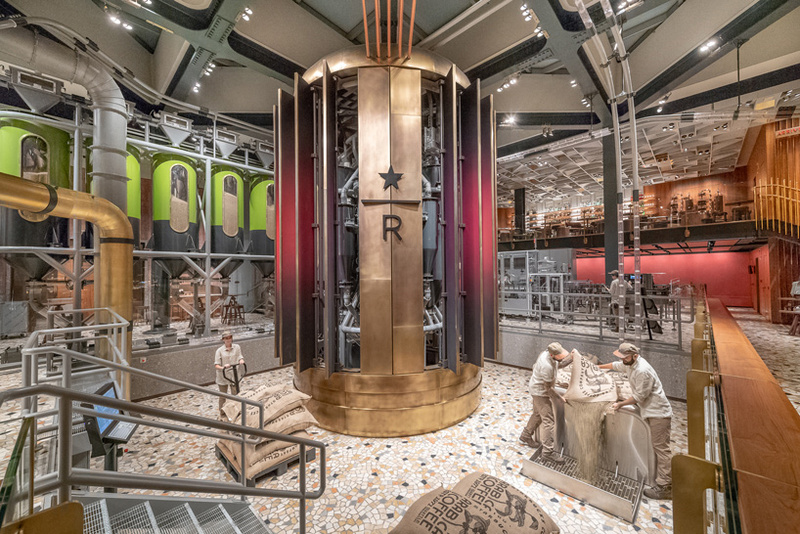 described as ‘the pinnacle coffee experience’, starbucks’ roastery flagships are conceived as ‘theatrical, experiential shrines’ where master roasters, mixologists, and baristas offer customers a range of bespoke beverages. the shanghai store, the world’s largest, offers guests a ‘willy wonka’ AR experience, while the milanese destination uses locally sourced marble and chunky terrazzo flooring. 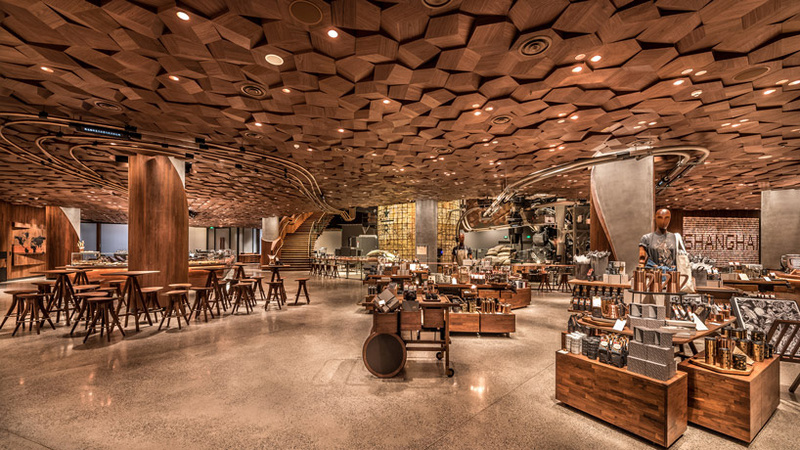 kengo kuma’s involvement with starbucks is nothing new, with the japanese architect previously working with the US coffee company on a number of occasions. 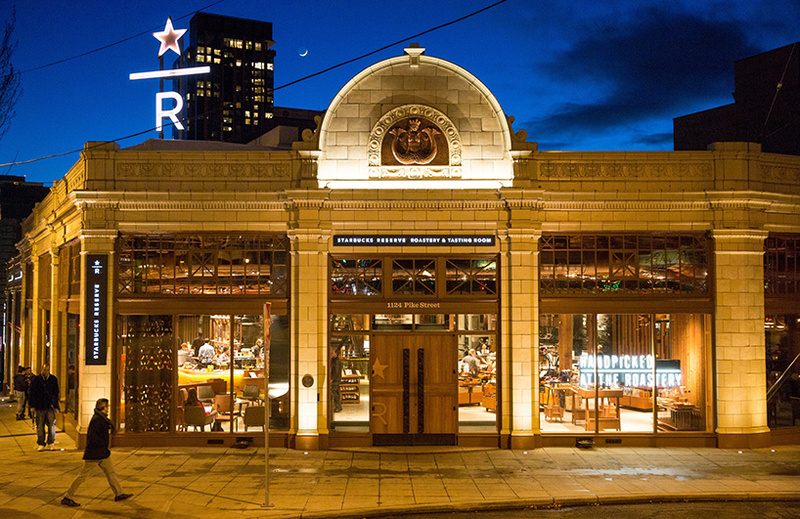 most recently, kuma designed starbucks’ first store in the asian pacific. 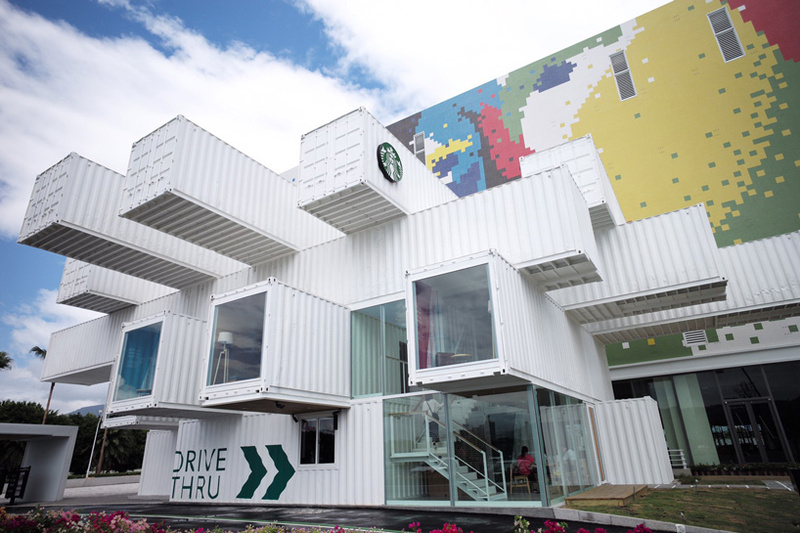 built from 29 used shipping containers the structure is located in taiwan and will function as a drive-thru in a soon to be opened shopping mall. see designboom’s archive of starbucks articles here.